There are many bloggers who boldy pronounce after a visit to Japan that a particular sushi-ya is the “best”. Yet often, their reference point is what they have eaten in their own country, rather than what is available in Japan. This has led many, for instance, to suggest that Sushi Dai is worth a four+ hour queue (it isn’t). With the rise of twitter and instagram, people have become accustomed to compressing information into hashtags and 140 characters, although perhaps, looking at the length of this post, there is something that can be said for brevity. In particular, modern social media places an emphasis on the present. 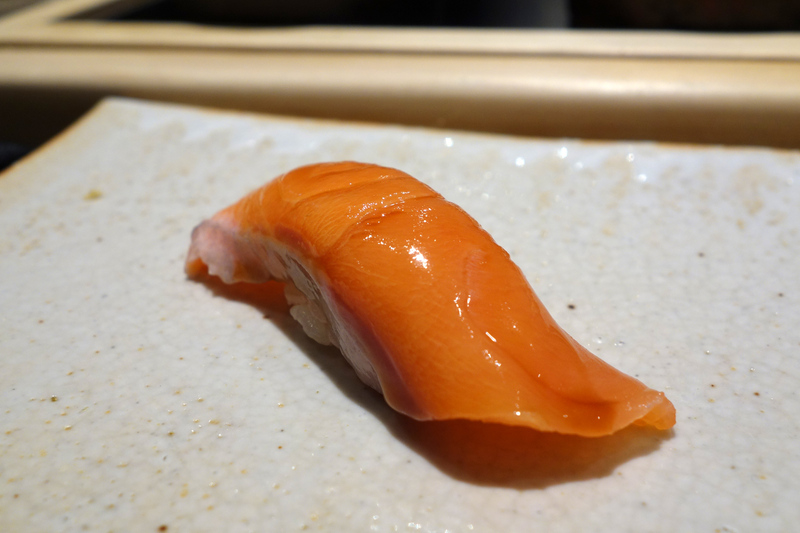 This post seeks to provide a comparison between some of the top sushi-yas in Japan. For ease of reference, the Tokyo sushi-yas have been divided into their Michelin ratings. There are many who think it is fashionable to be disparaging towards Michelin. I think the guide has some merit, especially if it is read with some of its shortcomings in mind. 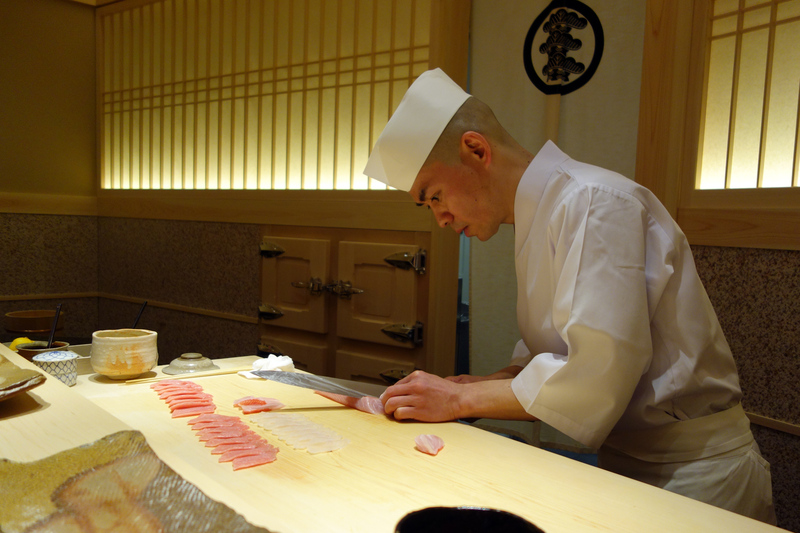 I was fortunate enough to visit Sukiyabashi Jiro before the hype of the film. 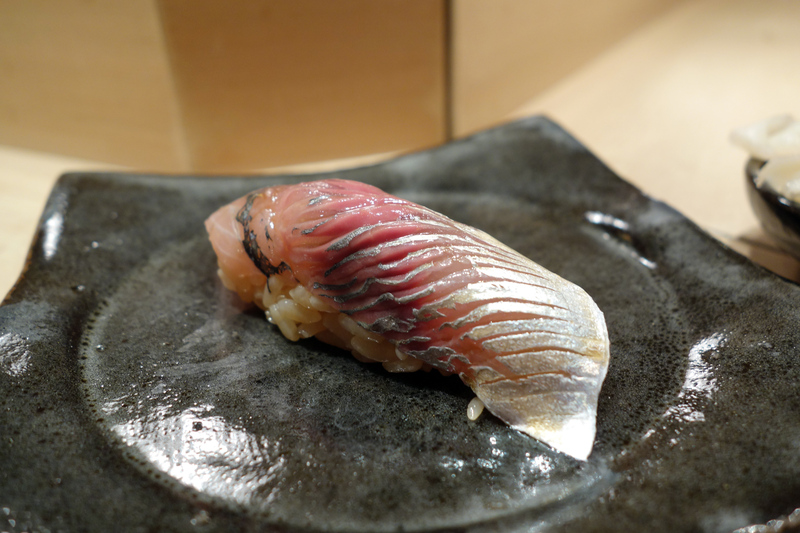 As has been widely reported, Jiro-san’s nigiri is unique in that it is strongly seasoned with vinegar. I felt that the rice, which was perfect in temperature and texture, complemented the fish well, in particular the kohada. The uni was also excellent; a generous portion was served. However, I felt that Jiro-san was somewhat heavy handed with the wasabi which ended up being overpowering on certain pieces, such as the tako. Given that this view was shared by my other dining companions, and over the same pieces, perhaps this was the intention). The sushi is, on the whole, extremely good. But 20 nigiri in 30 minutes for Y30,000+? Not for me. This was by far the most disappointing of the “high-end” sushi-yas that I have visited. The quality of fish was generally good, but the rice was very poor. It was soft, mushy, and lacking seasoning. Particularly disappointing was the kuruma ebi – it was served almost cold, and lacked the juiciness and flavour that you would expect at a high-end sushi-ya. Perhaps this was a one-off, but I was not inclined to return. Mizutani-san comes across initially as reserved, but is happy to engage in conversation (although he speaks very little English). I have been eating at Sushi Saito long before he received his third Michelin star and when he was still hidden in a car park. 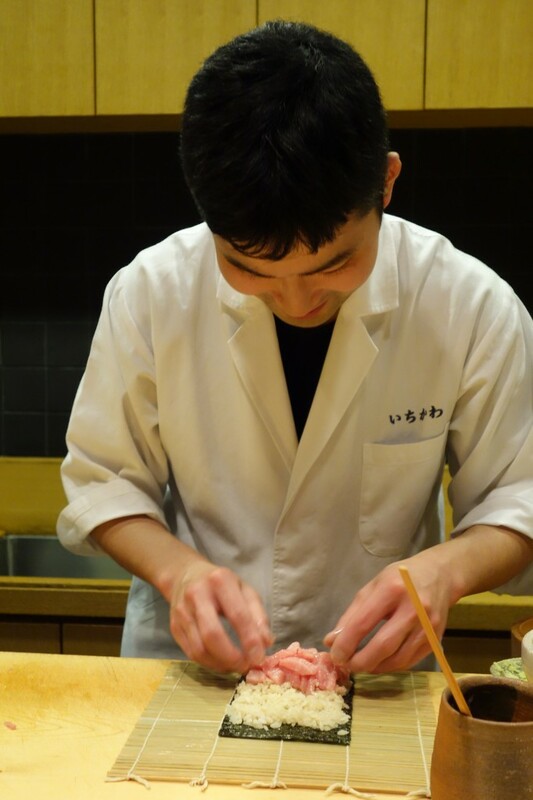 I thoroughly enjoy his sushi and the relaxed atmosphere he creates – it is, in my view, the best in Tokyo. 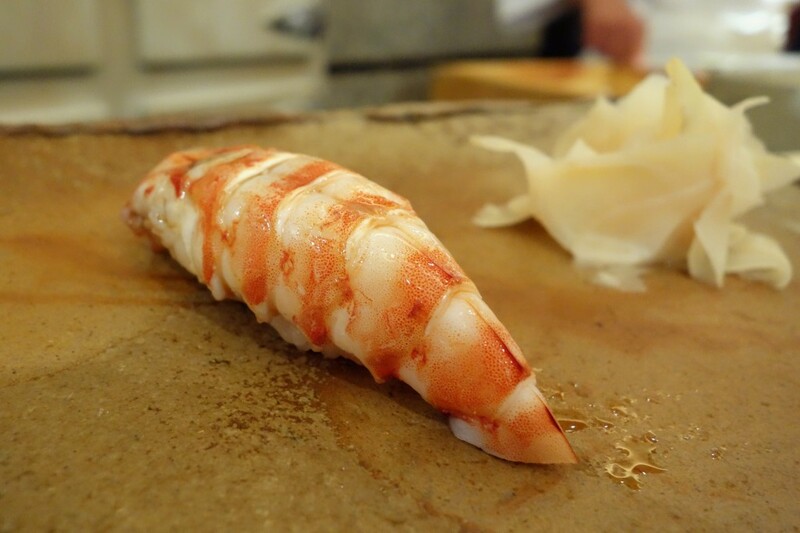 Having lost count of the number of meals I have had there, there is little point trying to select a favourite from over the years – one piece that is consistently better than anywhere else is the kuruma ebi – I have not eaten anything as sweet and juicy anywhere else. 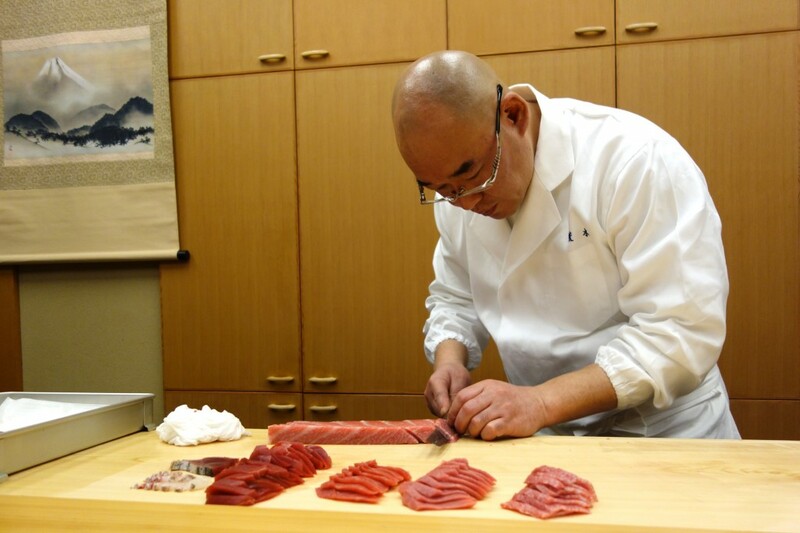 Perhaps, what Saito-san creates, better than any other sushi chef, is balance. In the words of a Japanese friend of mine, who is also a regular at Sushi Saito and has eaten at even more sushi-yas in Tokyo than me: “Saito-san is the only sushi-ya I could eat at every week, because the harmony of flavours brings me happiness…”. Saito-san trained at Kanesaka – it has been suggested that the fish at Saito initially goes to Kanesaka, where it is broken down before being delivered to Saito. 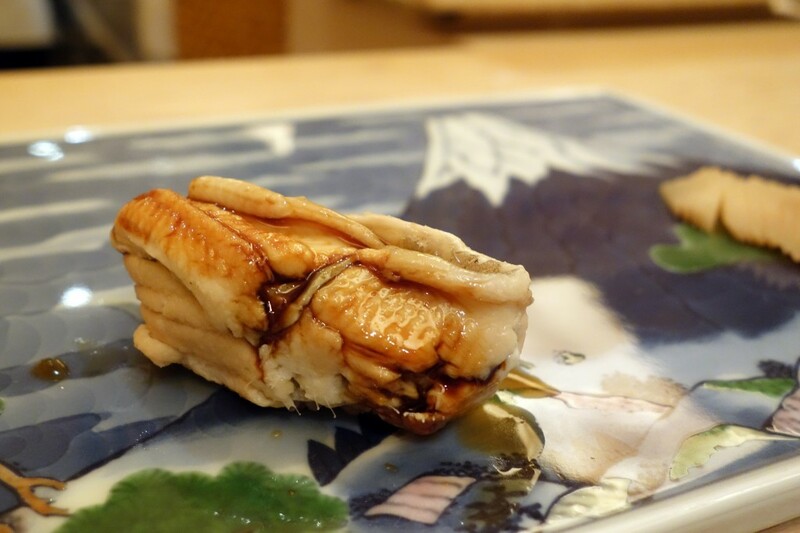 A friend of mine recently visited and asked Saito-san about this, and he said categorically that this is not the case – and indeed, I have, on several occasions, bumped into Saito-san at Tsukiji. 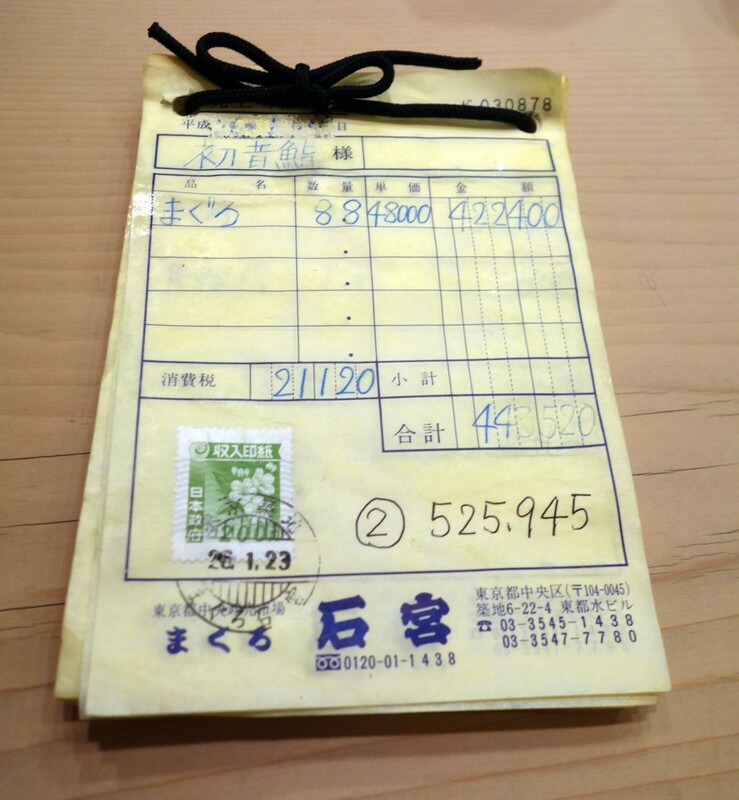 He has recently (as of March 2014) changed his main tuna supplier to the one of the owners of Sushi Tokami. The author of Mesubim is extremely wealthy, and has eaten and travelled well. I find his thoughts interesting and generally accurate. However, I find his thoughts on Sushi Saito bemusing. Perhaps it is some misplaced anger towards Michelin (a guide which he seems to love and hate in equal measure; on the one hand being proud to serve Michelin starred chefs at his home, on the other, deriding it as “insanity“). His comments on Sushi Saito, which generally focus on interior design and conclusions drawn from a photo – notwithstanding the fact it only represents a snapshot in time – are, in my mind, misguided and quite inaccurate. But the purpose of this is to show that whilst this is my favourite in Tokyo (and that of many Japanese, as evidenced by Tabelog), some people may not like it. Food tourists, I’m afraid that whilst this place is generally top of your go-to lists, a reservation, unless you are a regular, or introduced, is almost impossible. 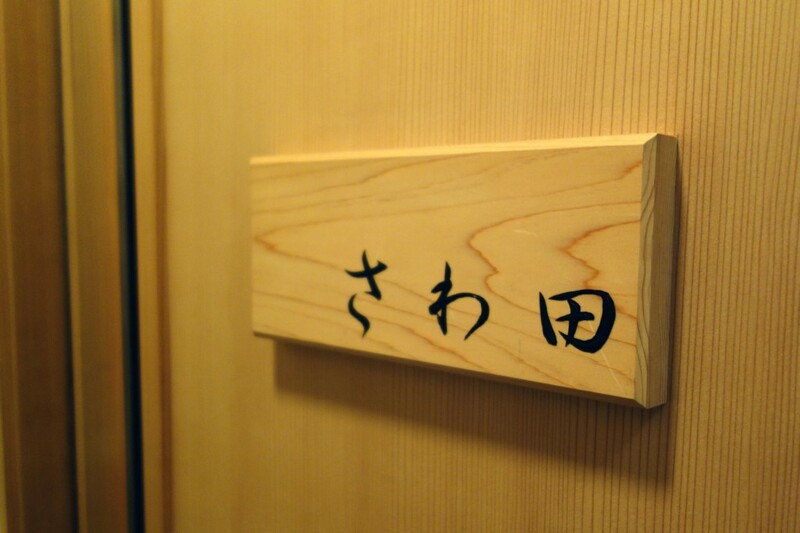 Saito-san no longer takes reservations from first time foreign customers through concierges and is fully booked for many months. Sushi Yoshitake in four words: excellent otsumami, disappointing nigiri. A highlight for me on a winter visit was the crab otsumami, and on a spring visit, beautiful hay-smoked bonito (on neither visit did I get to try the abalone with abalone liver sauce, which is his signature otsumami). The quality of the fish was very good throughout, but I did not enjoy the nigiri. I found the rice to be very dry and it did not pair well with the fish. Yoshitake-san speaks reasonable English and is friendly – he has also opened a successful ‘branch’ in Hong Kong, which has since been renamed Sushi Shion. Araki closed in mid-2012, with a view to opening in London, to be closer to his daughter. Due to problems obtaining a visa issues (which were partly due to his own arrogance), he was unable to make the move, and subsequently reopened a pop-up in a hotel in 2013 in Ishikawa prefecture and in Tokyo Midtown in 2014. Araki’s speciality was tuna. His progression of zuke, akami, chu-toro, chu-o-toro, o-toro, with several pieces of each, was a highlight, together with his tuna mountain handroll. Araki wants to serve only the most elite of clientele. When I first tried to make a reservation, he claimed to be fully booked for months, until he found out my profession and who I worked for, whereupon he magically found space. There is nothing wrong with being ambitious, but I know that his attitude, in part, cost him a chance of moving to England sooner. Hatsunezushi is located in Kamata, slightly outside central Tokyo. Nakaji-san was entertaining and the focus on the meal was to educate – both how to eat sushi and how much the raw ingredients cost… I found the latter somewhat tasteless (no pun intended), although more importantly, the sushi was generally good – a particular highlight being a kani nigiri. 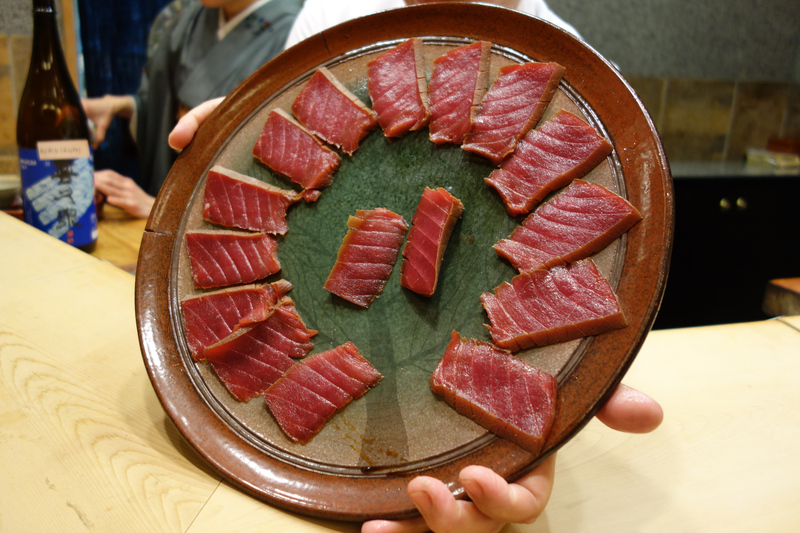 One thing I found odd, was whilst Nakaji-san keen to show-off the cost (and I assume, therefore, quality) of the tuna we were being served, all pieces of tuna were served either zuke or aburi, which I did not think necessarily brought out the best flavour of the tuna. Quality 4/5, CP: 3/5, Ease of booking: 3.5/5 if booked through a top concierge / regular. 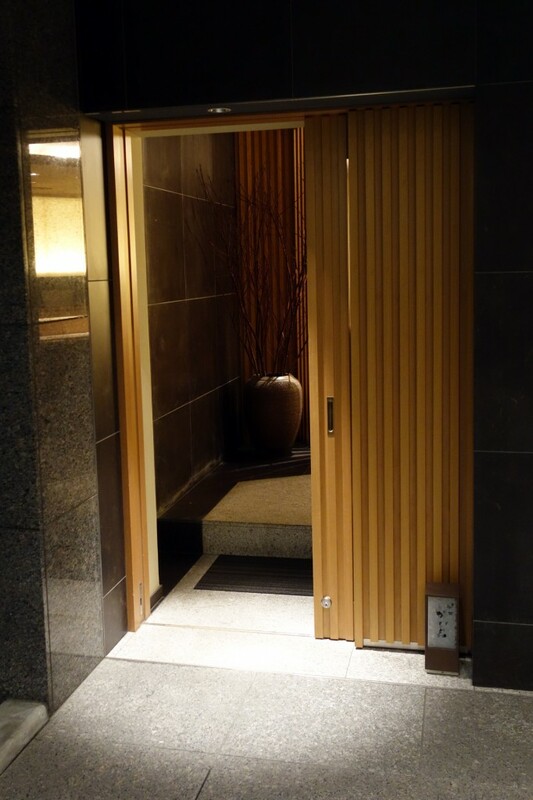 Sawada is regarded by many as one of the top “temples” of Ginza sushi, where people are expected to eat in hushed, reverential silence. On my visits, I have not found this to be the case; Sawada-san has always been keen to chat (turns out he is a big football fan) and, in his own words, “if you just want to eat and be really serious – go to Jiro”. 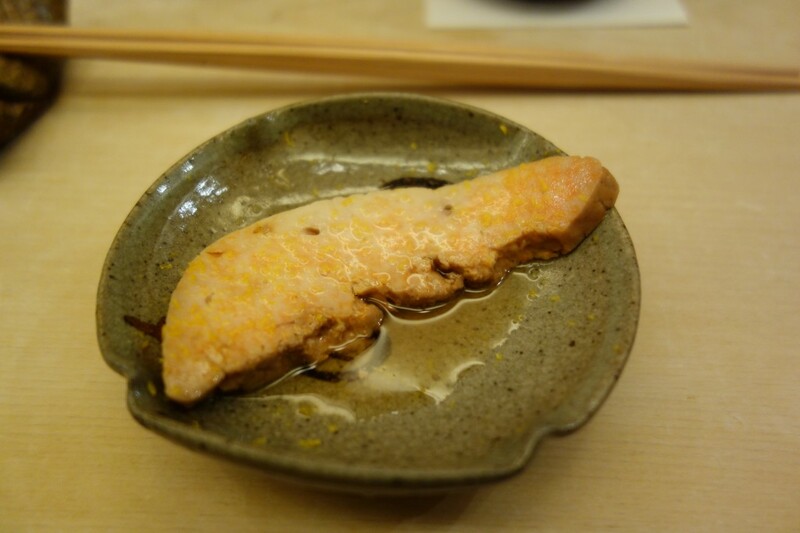 The quality of fish at Sawada is exceptional and the price of the meal reflects this. His otsumami of o-toro grilled over bincho is fantastic. My only criticism of his food is that his rice is slightly over seasoned – whilst this pairs well with his different cuts of tuna, it overpowers some of the more delicate fish. It should be noted, however, that some chefs believe that the flavour of the profile of the rice should be designed around the tuna. Presumably due to bad experiences, Sawada-san (or rather, his wife) will only accept reservations from foreigners if they book through certain high-end hotel concierges or through a regular. 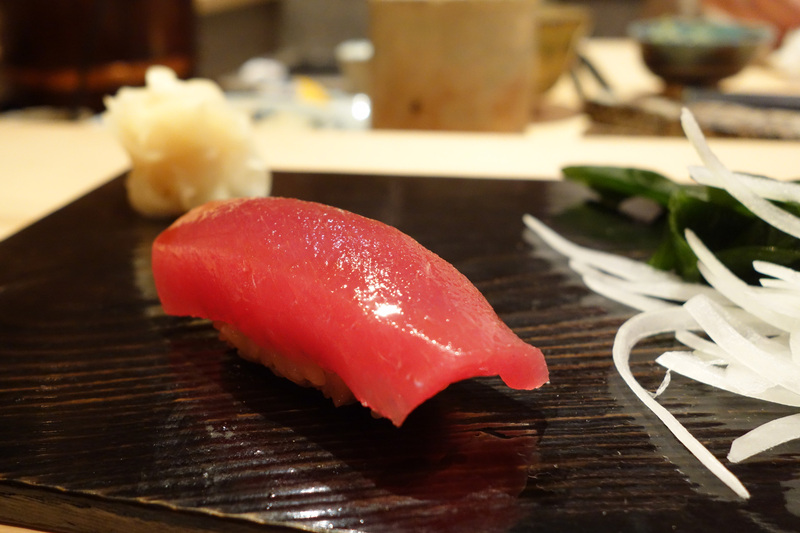 It is one of the most expensive sushi-yas in Tokyo at the moment. Ichikawa-san trained at Araki at his original location in Setagaya, before moving with him to Ginza, and now returning full circle back to Setagaya to set up his own shop at the exact location where he once trained. 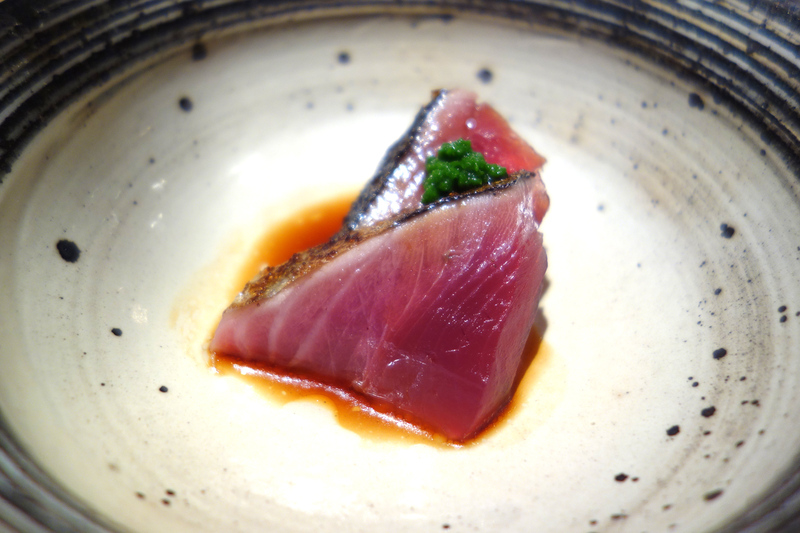 Perhaps unsurprisingly, he served a similar course to what you get at Araki, with numerous pieces of tuna being served. A lot of what was served was very good, although the tuna that was served was not quite on the same level as his former master. Given he works only with the assistance of his wife, and had only just started out, it was clear he was working overtime in order to ensure that he was achieving a good flow to the meal. Located outside of Ginza, the atmosphere was warm and relaxed, and other diners were keen to chat. Ichikawa had a good sense of humour, responding to my dining companion’s (mock) horror at the amount of tuna being discarded from the ends of pieces, proceeded to roll him an enormous toro maki to finish, pictured above. I visited Ichikawa before it received any Michelin stars and it was half-empty. It is now reasonably difficult to secure a reservation there, and so I have not yet returned, although I would like to do so. 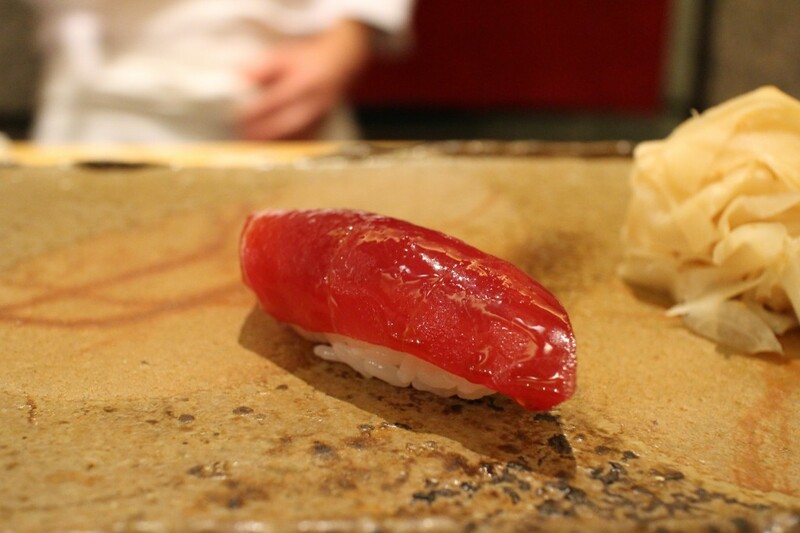 Iwa-san is one of the few chefs who has ‘graduated’ from Kanesaka and produces sushi that is memorable . The rice is excellent, with good texture, although at dinner, I find that the size of the shari can be too large. One particularly interesting piece that I have not had anywhere else was icefish that had been cured between sakura leaves. Both the anago, and kanpyo, constantly impress too. Good English is spoken at Iwa, who also has a branch in Hong Kong. Much like Kanesaka, it is a place that I recommend tourists to try as their first high-end sushi meal. On each occasion that I have dined at Kanesaka, I was served by Sanpei-san, who has briefly worked in the Singapore branch. I call the original Kanesaka “Honten” given that there are now numerous Kanesaka branches both in Tokyo and abroad (a second branch is being opened in Singapore). There is little doubting that Kanesaka-san is an astute businessman (given I have never been served by him, I cannot comment on his skills as a sushi chef). Outside of Japan, many would happily enter into a Gordon Ramsey restaurant with no expectation of being served by Ramsey himself. In Japan, this is not the case. I suspect this has contributed to him losing a Michelin star, although I highly doubt if that is of any concern to him. Much like Mao below, my meals at Kanesaka have always been good, but not spectacular. Given the high level of English spoken, it is the place that I most recommend tourists to try as their first high-end sushi meal. Lunch is particularly good value. Set up by a former Kanesaka apprentice, I found the sushi to be solid. Unfortunately there were no particular highlights, nor were there any particular errors. The has since moved from Hotel Seiyo and has been renamed Sushi Ichiyangi (I have not visited since its move). 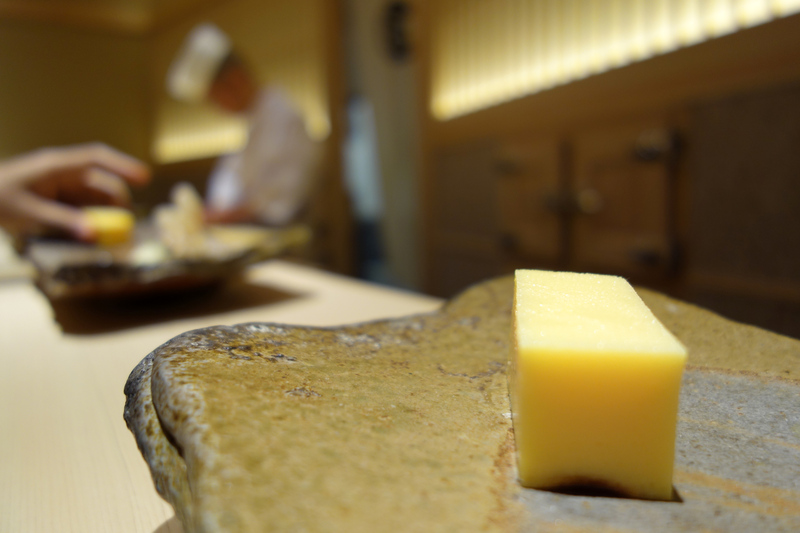 The latest Tokyo sushi-ya to receive a Michelin star. 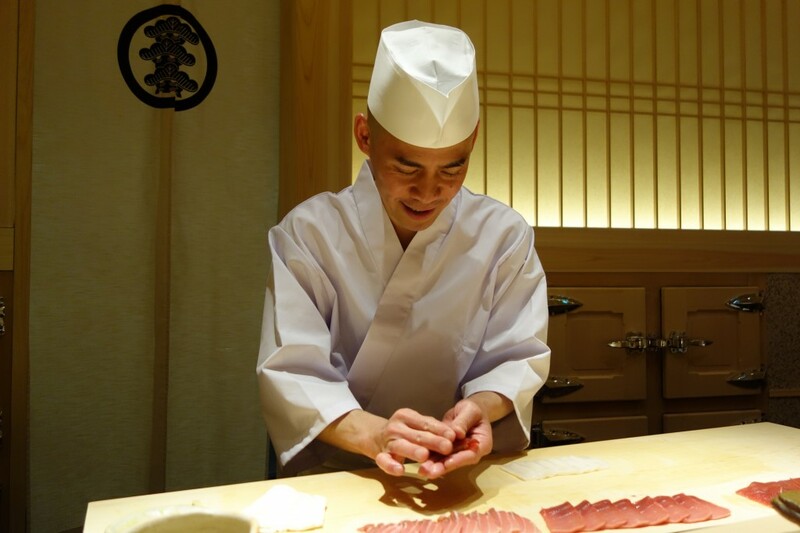 Sato-san’s father was a sushi chef, but he initially worked as a waiter in a French restaurant before deciding to follow in his dad’s footsteps. Tokami is partially owned by a tuna broker and it will therefore be no surprise to learn that the quality of the tuna is exceptional. 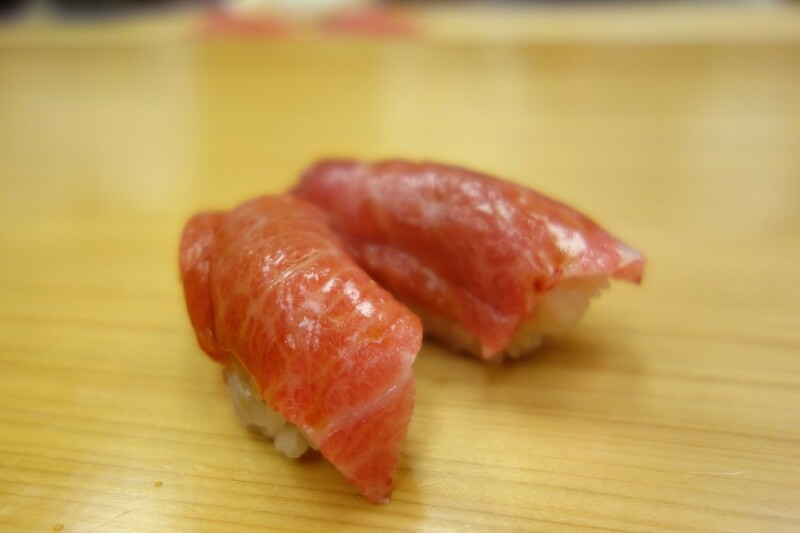 The nigiri are large and heavily seasoned with red vinegar. This suits some pieces well and was an interesting experience, but not one to which I intend to return. Nagayama-san despite being slightly cranky (in a charming way), has an encyclopaedic knowledge of sushi. His menu, handwritten every day, shows the provenance of each fish, and what he views to be particularly in season. The fish was of very good quality (but not necessarily rivalling some of the ‘top’ Michelin establishments) and pairs very well with the rice, which I found to be quite sweet. The price is also very reasonable. The only reason I would not recommend it to tourists is that English is quite limited. 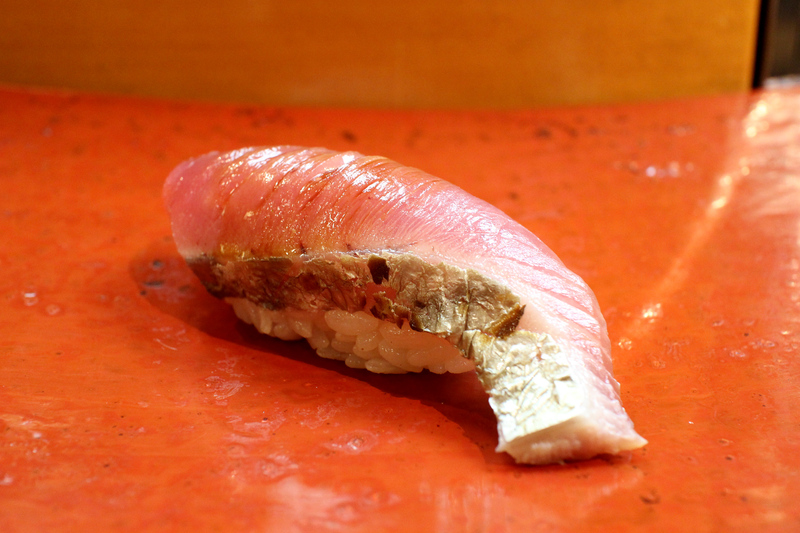 Miyakozushi is the highest ranked tabelog sushi-ya that does not have a Michelin star. People consider it to serve sushi at the quality of many of the high-end Michelin starred sushi-yas in Tokyo, at a much lower price. I am inclined to agree with this analysis, particularly with regard to the fish, although I find the rice to be a little bland. Sugita-san comes across as extremely calm and is both kind and welcoming. 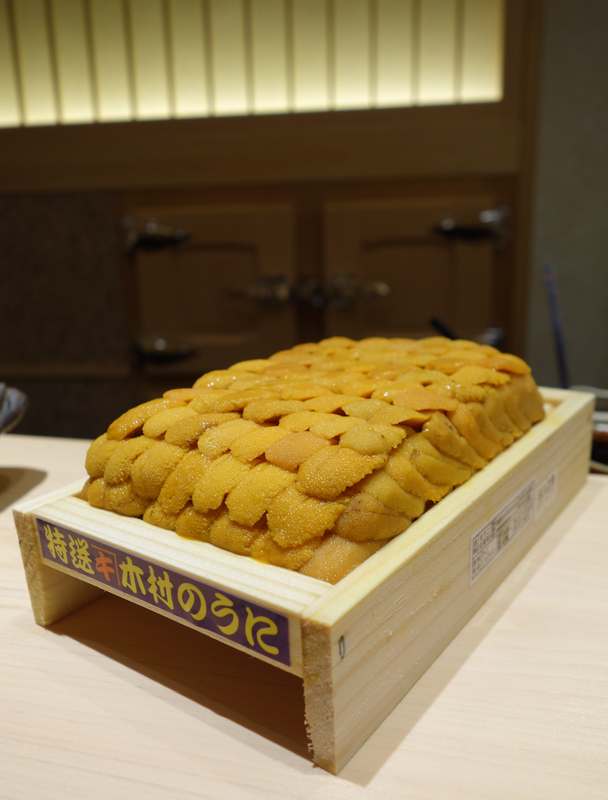 A particular highlight on a recent visit was the uni from Kyushu that had superb sweetness. It has become very difficult to get a reservation here, unless you are introduced by a regular – for instance, as of now (April 2013), the next weekend lunch reservation is January 2015. A dinner reservation is easier to secure. 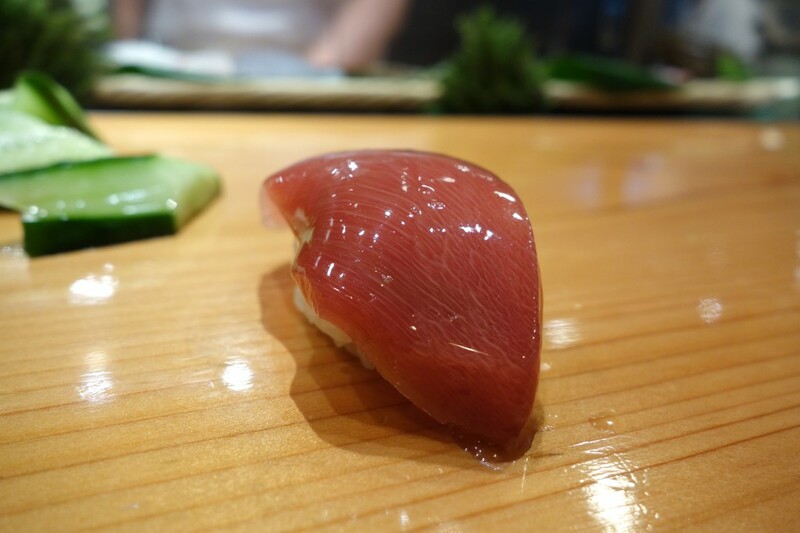 The current darling of the Hong Kong-Singapore axis of food photography (HKSAFP), Sushi Sho is well publicised on numerous blogs for “kicking the Michelin inspectors out” and “ageing fish”. 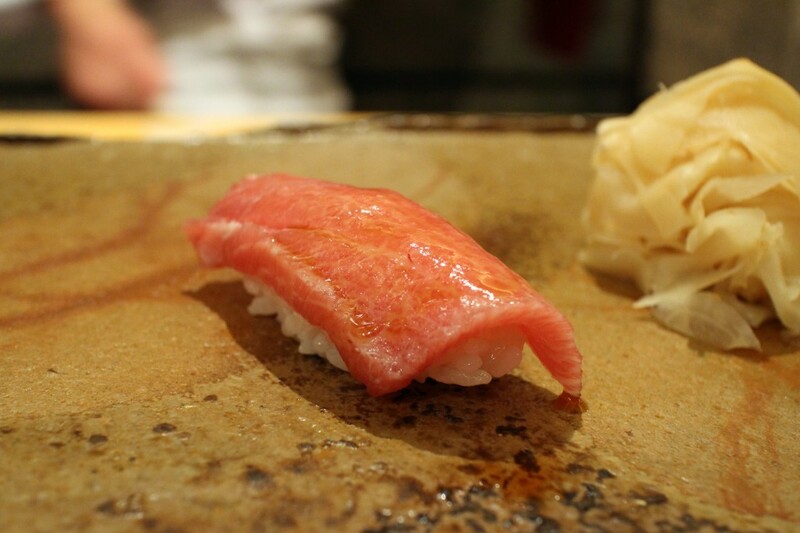 I generally like the sushi at Sushi Sho, and Nakazawa-san is friendly. However, my issue with both here and Sushi Sho Masa, below, is that there is a lack of coherent flow to the meal, with nigiri and otsumami being served in an apparently random order. and there are simply too many mediocre pieces which negate the positives of some excellent pieces. Perhaps due to the increased difficulty of getting a reservation at Sushi Sho, Sushi Sho Masa has become the second darling of the HKSAFP . 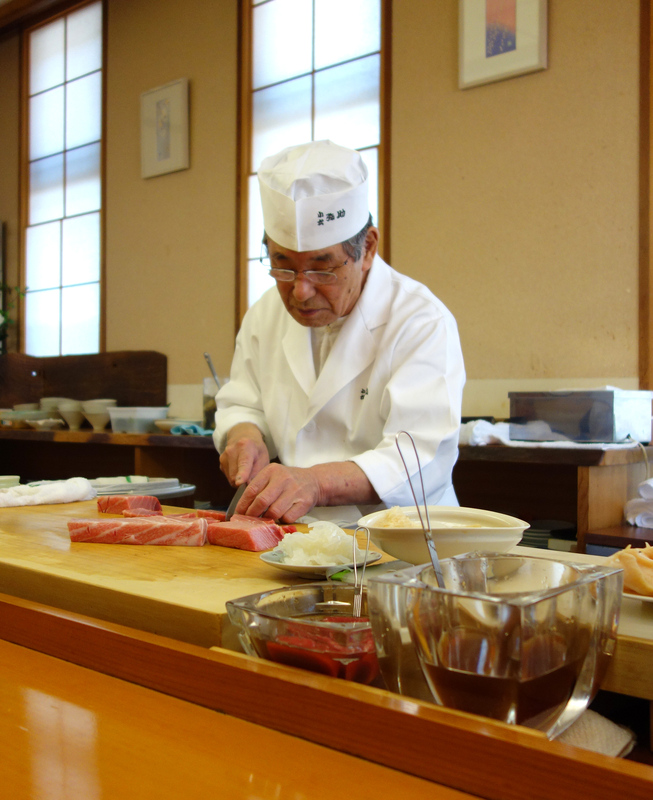 Here, Masakatsu-san focuses slightly less on ageing, but equally insists on serving a large range of fish. Some pieces were very good indeed, and others mediocre. If only the excellent pieces were served rather than the 38+ pieces that I ate, I would have left extremely happy. Sadly, I left moderately satisfied, and a little confused by the philosophy. This sushi-ya is Mesubim’s favourite (see Saito above). I have visited it on several occasions and is introduction-only. Is the taisho as great “the finest hands in the business” as Mesubim suggests? In my view, there is better sushi to be had in Tokyo. However, I do enjoy the sushi there, particularly the rice, which has a comforting quality and good depth of flavour; likewise, the quality of the fish cannot be faulted. Best of all, the chef is unpretentious and has a good sense of humour. Yasuda-san is a sushi God to many New Yorkers, but my meal here was a real disappointment – almost certainly the worse sushi-ya I have eaten at in Japan. I visited not long after it just opened and together with my friend, we were the only two dining there (no doubt this has since changed with the Bourdain effect). Not only was the fish of average quality, but we were massively overcharged. Yasuda-san himself admitted to not being particularly good at maths at the start of our meal. Widely regarded as the best sushi-ya in Osaka, this was an very good dining experience in the carousing district of Umeda, which certainly rivals some of the best in Tokyo. The rice is heavily seasoned with red vinegar, but this works well with the fish. The restaurant is not tourist friendly – after the restaurant became part of Michelin, the chef received too many last minute cancellations from foreigners, so is not inclined to take reservations from those who are not Japanese. Often referred to as the “Jiro of Western Japan”, Kazuo-san, now 84 at the time of writing, is considered to be one of the top sushi masters in Japan. 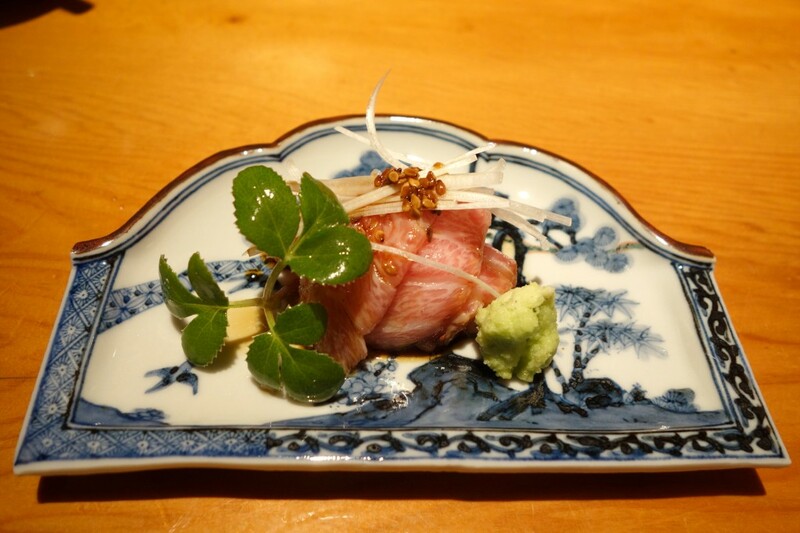 The atmosphere at the restaurant is lively and Kazuo-san is friendly. I really enjoyed his sushi – the pieces were perhaps a little smaller than average, but they tasted superb, particularly the ika and amaebi. Ironically, I thought that one his signature dishes, a dish of tuna with uni on rice, was perhaps one of the least flavourful. What was as impressive, as it was terrifying, was watching Kazuo-san pluck sizzling pieces of unagi off the grill to make into hand rolls. 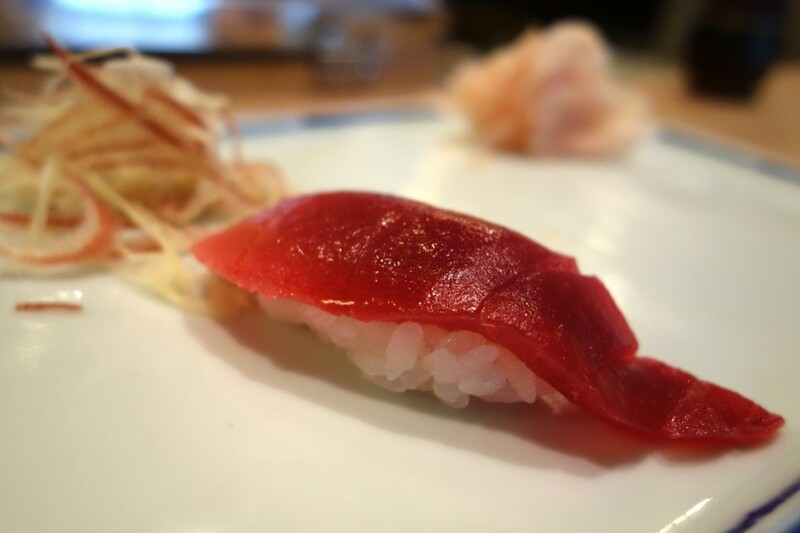 Otomezushi is the other top sushi-yas in Kanazawa. Tsurumi-san is a relatively young chef, and takes his craft very seriously. The quality of fish was outstanding; the nodoguro otstumami was perhaps one of the best pieces of fish I have eaten in my life. Perhaps it was due to the fantastic otsumami that preceded them, but I was somewhat disappointed by the nigiri, mainly due to the temperature of the rice – it was far too cold and lacked seasoning. 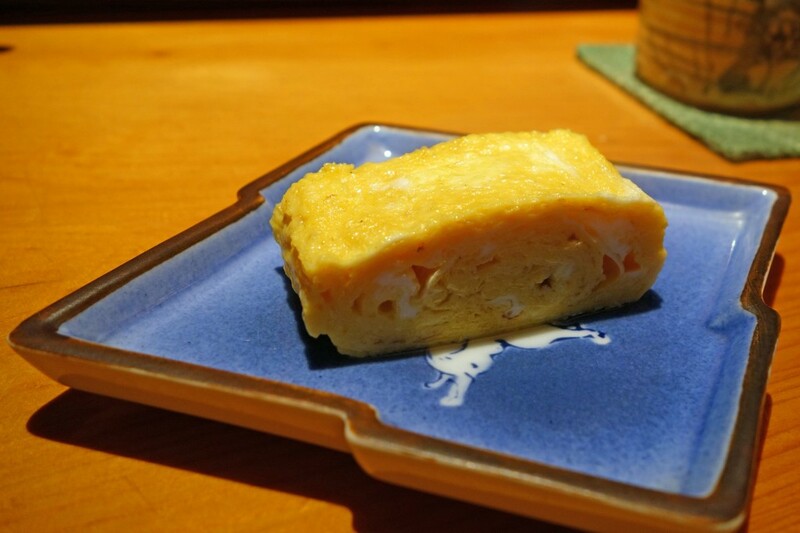 However, to finish, the tamagoyaki, which was freshly cooked by the sous-chef (who, somewhat rarely in Japan, is a woman*) was served piping hot and delicious. *The Japanese believe that women have warmer hands and are therefore unable to become sushi chefs, as the additional heat will damage the fish. 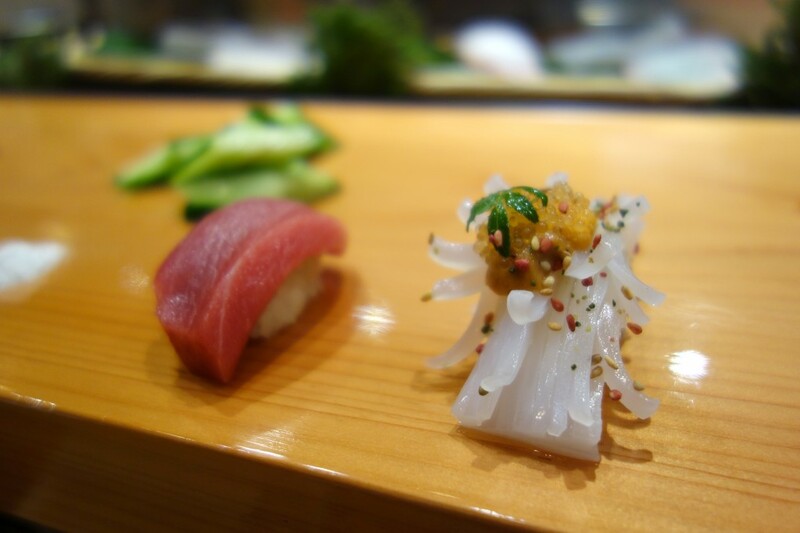 The nigiri at Ten Zushi are works of art – and, best of all, they taste as good as they look. 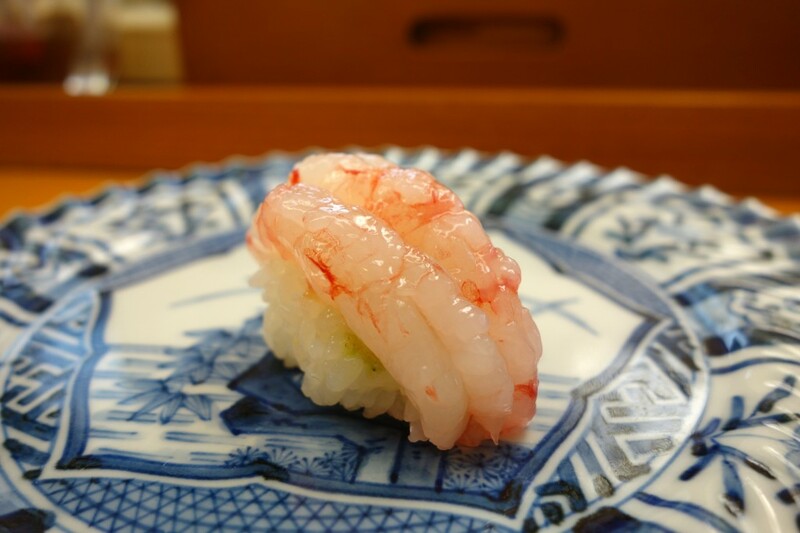 Amano-san does not serve traditional edo-mae sushi, but rather a style that was created by his father. He looks to highlight flavours both at their purest, for instance, serving a piece of nama chu-toro to begin alongside unusual yet delicious combinations, such as his ika with ‘uni caviar’. I have not eaten any piece of sushi here that I have not thought to be excellent, but for me, his stand-out piece is the chu-toro-zuke. Words cannot describe how good this is. Amano-san is a very personable and entertaining individual. He loves food, and loves sushi. I was a little hesitant to post about this restaurant, as (1) it is far from the usual Michelin-food-tourism-trail, and therefore avoids the usual post-multiple-pictures-of-the-same-dish-to-instagram dining crowd; and (2) he is reluctant to serve foreigners who speak little Japanese, as he wants to talk about the food and understand what the diner wants. Whilst he speaks a little English, if you do decide to go, I would highly recommend going with a Japanese speaker to enjoy the meal to its fullest. 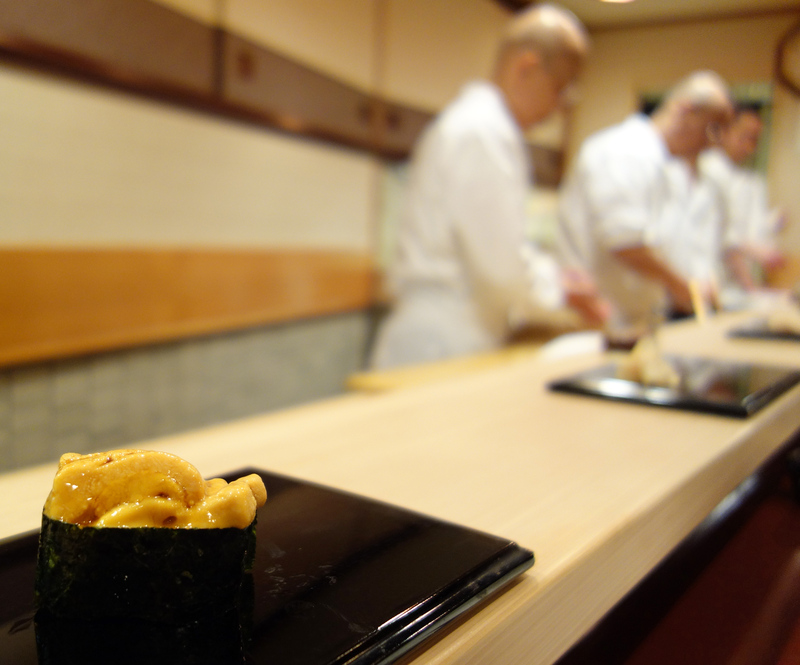 Located in the bustling Susukino district, this is one of the top sushi-yas in Sapporo. 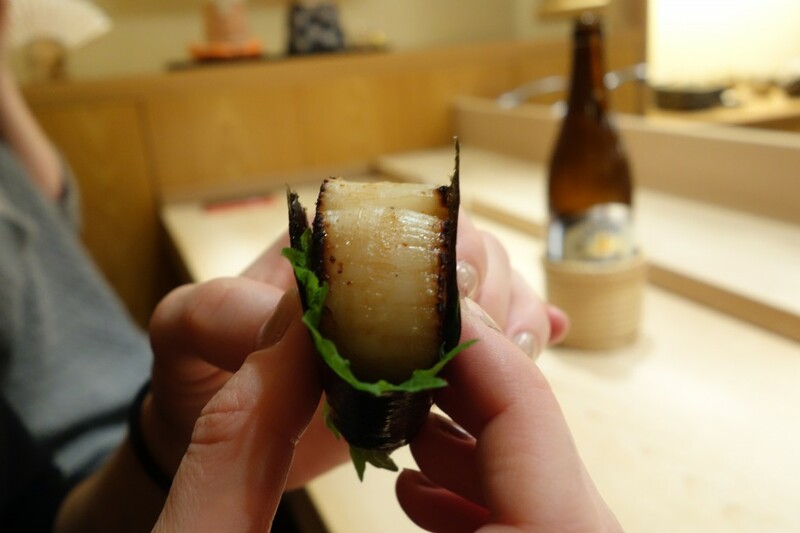 The otsumami featured an excellent plump scallop from Hokkaido, grilled to perfection, and the nigiri featured the last of the winter hon maguro from Oma – superb. The rice was seasoned well with red vinegar. Some of the shellfish otsumami and nigiri were less successful, but nevertheless, a very enjoyable meal. Whilst, for whatever reason, Matsuhashi-san did not appear to be in the best of moods on the evening I visited, he became keen to educate once he realised that we had more than a passing interest in sushi. Some English is spoken but a Japanese speaker is required to make a reservation. Unlike tourists, some of whom plan their holidays solely around eating at Michelin starred esablishments, it will be unsurprising to learn that the average Japanese does not eat out at high end sushi-yas on a regular basis. Some itineraries posted on the internet arecomplete nonsense (both in terms of the amount of meals in the timeframe and how unachievable the reservations are). For a casual sushi fix at a kaitenzushi, I am particularly partial to Sushi Zanmai (a considerable step up on Midori Sushi, which often has longer lines outside it). It serves good quality fish, especially if the specials or premium tuna are ordered. The quality of the rice is average at best, but it is produced on a mass scale, so is perhaps to be expected. Congratulations, if you have made it to the end of this post. I hope it was informative. As I said at the outset, I’m there are those that will disagree with my views, and I understand and respect that. Ultimately, a meal is more than about the food itself, it is about the company and the conversation. If you are planning your first trip to Japan, a large part of dining in Japan, particularly when sat at a small counter, is the ability to interact and converse with the chef. I would therefore save yourself the trouble, time, heartache and expense of trying to book at one of the “top” sushi-yas simply because you have read somewhere that is the best, or that you want to boast that you are going to a 3 Michelin starred establishment. Instead, try and book somewhere where you are able to chat with the chef if you have no/limited Japanese (Kanesaka and Iwa, being good examples). Your experience will be much better for it, and I have no doubt that wherever you visit, you will find the sushi mind-blowing. Hi there! I would like to say that this is a well written and very informative post as I’ve just discovered your blog. I totally understand how some people would think of Sushi Dai/Daiwa Sushi as the best they have had in their lives. Even though I understand their excitement and that they’re tourists, what makes me cringe, and the part I really empathize with you, is how some of them portray it as the absolute best in the world when it’s just better than average at most according to Japanese standards. Also, although Jiro Ono is of course a very talented and accomplished sushi chef, I too think the hype caused by the movie and outside media influence has blown his establishment way out of proportion as how a few from the media outlets outside of Japan (Bourdain/CNN/David Gelb’s movie) have considered him the best, the rest of the world assumes otherwise without even setting foot into the country. I understand that “the best” is quite a subjective concept with people having their own opinions but places that are considered the best should have a general consensus by people who are extremely knowledgeable about the field, those who really know and have dined at the many sushi restaurants in Japan such as yourself in this case. 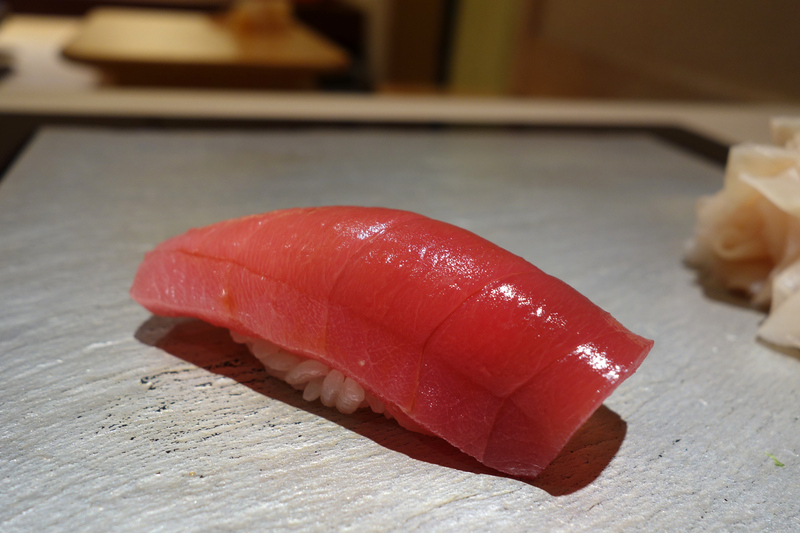 Anyways, I just wanted to put in my supportive two cents as I too believe that there are establishments out there that rightfully set the bar higher than the world has with Sukiyabashi Jiro such as Sushi Saito, especially according to Tabelog (“Japanese Yelp” to those in the US). The other thing I wanted to comment on is Sushi Tokami. I’ve noticed that it recently got its first Michelin star and that it differs from the other Michelin sushi restaurants as it uses red vinegar in their rice which really intrigues me. I also wanted to mention that your bit on Sushi Tokami is what really led me to your blog as yours is pretty much the only blog that’s not in Japanese that has reviewed the establishment. As I’ve noticed on Tabelog that it has a score around 3.6, would you recommend this establishment to foreign first timers to high end sushi in Tokyo? I’m definitely considering this restaurant as a lot of quite knowledgeable foreign dining enthusiasts (I generally abhor the term “foodie” if taking a photo of a slice of pizza from Pizza Hut qualifies a person as one) are trying to book a spot at Sushi Saito as they hear it’s truly the best sushi experience as I believe that it’s more exciting to start out with a place that “has its flaws”. I would definitely want to wait out on a trip to Saito (if I could actually book a reservation) as I don’t want it to spoil my future trips. I too am considering Kanesaka quite sometime as I too agree with your comment of how it’s a great restaurant for first timers getting into high end Tokyo sushi. Thanks! The Bartender – thanks very much for your note. I certainly don’t think my views are definitive (and I hope my post made it clear that was the case) but I am glad that my post is helpful. 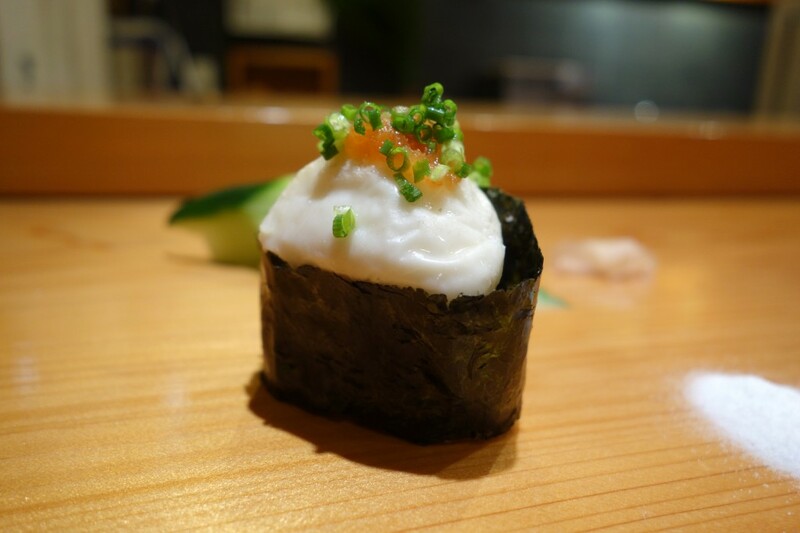 As to Tokami, there are two main things to note: (1) the style of rice is very unique (very sour and salty); and (2) the nigiri pieces are extremely large (relatively speaking). Personally, I think it is a bit too different to be a good first time introduction to sushi in Tokyo, although the tuna there is outstanding and the atmosphere is relaxed. As I said, to the extent you can go somewhere where the chef speaks English, that would probably be a better bet. What are the prices for lunch and dinner as I understand that there’s different set prices depending on what and how much is offered for each time period? I haven’t been to Tokami at lunch; the dinner omakase was around JPY16k, from memory. With places like Kanesaka/Iwa, you can get lunch nigiri sets for around JPY10k, dinner (otsumami and nigiri) starts around JPY23k. I stumbled into your blog as I am a friend of Bruno and saw your pic and link in your profile. When I read your comments about different sushi ya, I am shocked! Shocked because we almost have the exact same taste and feeling about most places. In fact for some it was done to very exact point that we have similar feelings For instance, about what I considered as the most overrated 3* Mizutani; About the very impressive neta but less impressive shari at Miyakozushi; the excellent tuna in different cuts and form at Sawada (but not as strong in nigiri skills); the tsumami outperforming the nigiri at Yoshitake. And the lack of coherent flow of the omakase at Sho. These are things that I wrote about as well on my Instagram log (I don’t have a blog). And my feedbacks are just exactly the same as yours in many cases. I am in shock. I feel a bit dumb asking this, but what does CP stand for?